Description: Darice Treat Bags are perfect for wedding, showers, birthdays, holidays and more. Simply fill them with yummy candies, delicious cookies, fun toys or small enticing items, close with a colorful bow and you have a favor everyone will grab. These FDA approved bags are for decorative use only. Not a toy, for ages 6 and up. 5 x 11 inch. Rectangle. Clear. 20 pc. 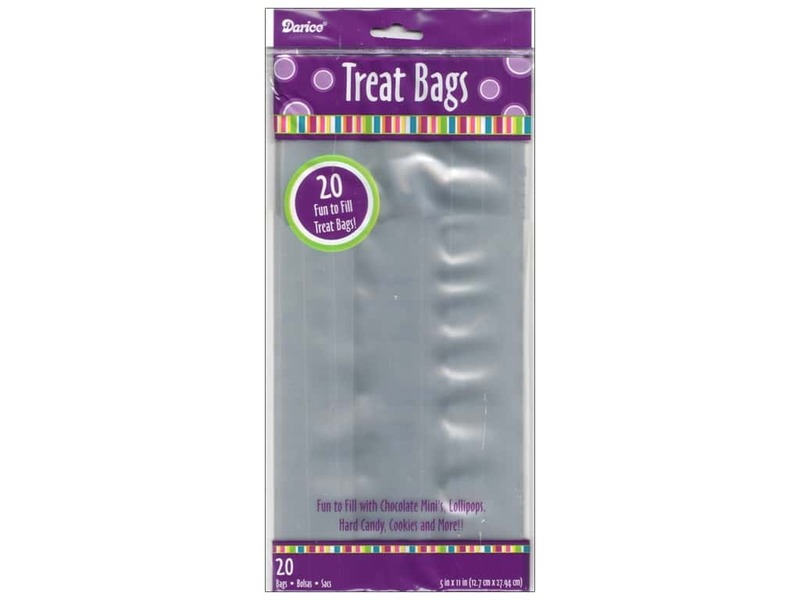 Darice Treat Bags 5"x 11" Rectangle Clear 20pc -- CreateForLess 5.00 out of 5 based on 1 ratings. 1 user reviews.